Eastman Exports is gearing up for Apparel Sourcing Paris 2019. This 4-day event being held from 11-14 February 2019 in Paris Le Bourget, France, showcases products like men’s clothing, womenswear, children's wear, fashion accessories, finished clothing, packaging materials, clothing accessories and other products. Join us at this international trade fair that witnesses the best buyer and seller relationship. We are excited to be a part of this event that showcases around 50 garment suppliers certified eco-friendly and sustainable. This event throws open strong marketing and networking opportunities to all the exhibitors and presents a wide variety of collection to the visitors, on its every exposure. What is Apparel Sourcing Paris 2019? 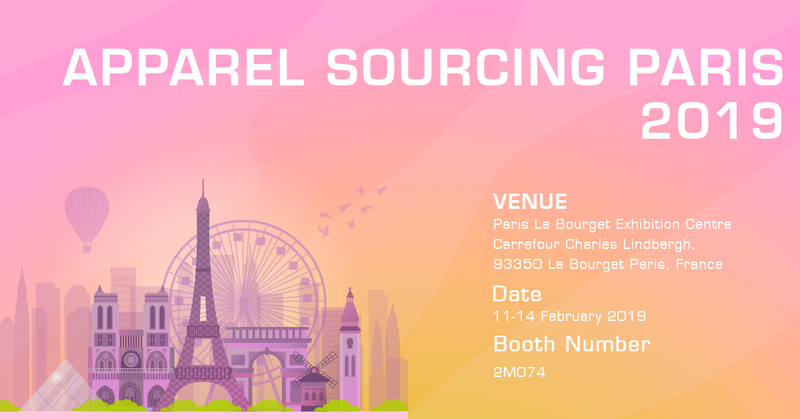 Apparel Sourcing Paris 2019 is an international sourcing event for the procurement of clothing and fashion accessories. This exhibition is communication and information platform in the industry and offers the exhibiting companies the opportunity to present to an audience of experts here. Visitors can find in depth and comprehensive information about the latest developments, trends, products and services in various fields.